Whether a hybrid car is better for the environment than a conventional gasoline-powered car depends on their relative sizes. If you are deciding between a Honda Civic and a hybrid sport-utility vehicle, for example, the conventional Honda Civic is likely the more environmentally friendly alternative. If, however, you are deciding between two cars in the same weight class and one is a hybrid, the hybrid is likely to be the better choice from an environmental standpoint. Hybrid cars have two motors: a gasoline-powered engine and an electric motor. 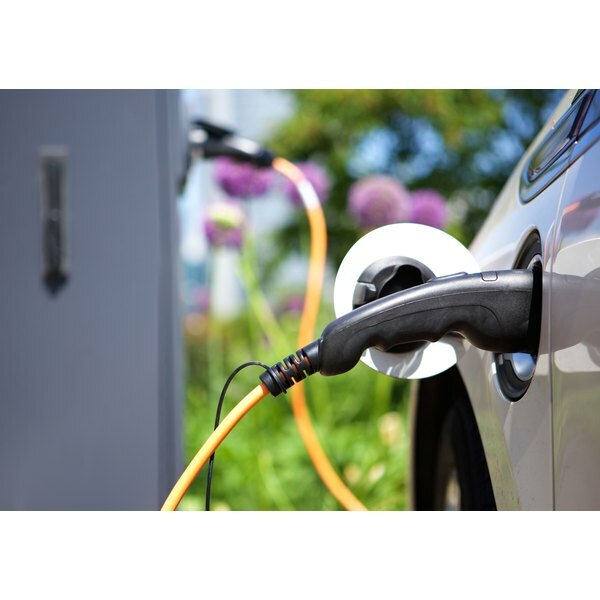 Much of the time, hybrid cars run solely on their gasoline engines, but the electric motors come into play in two situations. First, the electric motor can assist the gasoline engine when additional power is required, as during acceleration or hill climbing. Second, the electric motor can supply all the required power when a hybrid car is operating at low speeds, as in city driving. Improved fuel economy and reduced fuel consumption are the major benefits of hybrid cars. Hybrid cars get better gas mileage than gasoline-powered cars for two reasons. First, because the electric motor is available to provide extra power, the engine of a hybrid car can be smaller than the engine of an equivalently-sized gas-powered car. Second, gas-powered engines are least efficient when cars are operated at low speeds, which is when a hybrid car runs solely on its electric motor. Ford has announced that it will offer both conventional and hybrid versions of its 2011 Lincoln MKZ sedan. While the gasoline-powered version has fuel economy ratings of 18 miles per gallon in the city and 27 miles per gallon on the highway, the hybrid version is rated at 41 miles per gallon in the city and 36 miles per gallon on the highway. There are several environmental benefits that arise from the improved gas mileage of hybrid cars. First, lower fuel consumption translates into reduced emissions of carbon dioxide, which is one of the major greenhouse gases implicated in climate change. Second, lower fuel consumption translates into reduced emissions of nitrogen oxides, which are hazardous to human health. Third, lower fuel consumption translates into a reduced need for gasoline, which may reduce the need for oil from coal tar sands and other environmentally unfriendly sources. The current generation of hybrid cars use nickel metal hydride (NiMH) batteries, unlike conventional cars, which use lead-acid batteries. Lead, like all heavy metals, is a major pollutant, whereas nickel is not. In addition, recycling of lead-acid batteries is not coordinated by either battery or car manufacturers, while hybrid manufacturers have developed recycling programs for their NiMH batteries.